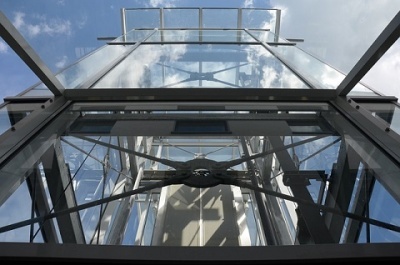 Offering emergency services such as lift repairs or responses for ‘trap-ins’ means staffing the phones 24 hours a day. This can be a costly but necessary challenge for your business. We can help your organisation manage emergencies as they occur and add value for your customers at a fraction of the cost. CommLink’s Out of Hours Service can provide you with reliable customer service levels that will set you apart from your competitors. CommLink provides a comprehensive suite of call answering services for Lift Companies from Out of Hours engineer call out to a full customer service provision. Our team provides extensive solutions for all elements of response management and as the partner of choice, we enable our clients to focus on the provision of their services, working together to improve support for their customers. We work with many specialist lift companies for passenger, evacuation, platform and goods lifts; companies involved in the design, supply and installation of new lift equipment in addition to those responsible for maintenance and emergency repairs. The majority of our Lift clients have appointed CommLink to provide them with an Out of Hours Response Service. During office hours, they operate their own in-house help desk, but outsource their out of hours response management to us. We endeavor to provide an out of hours service in a cost effective fashion, providing a speed of response in line with our client’s own. How do we handle OOH calls? CommLink’s operators can handle calls from autodiallers as easily as live calls. We assess the call against the client’s specific emergency criteria and either allocate the call to an engineer or leave a message for the service desk for the next working day. Calls can be passed to engineers in multiple on-call regions or to sub-contractors and, once passed, monitored to completion. Different calls may require different procedures: a trap-in needs a more rapid response than a lift fault. We can also filter out calls from autodiallers that are faulty or calls where the emergency button has been pushed by mistake or for testing. CommLink’s service will work as a true business extension to your daytime service and will enable your company to provide a high quality customer response service, 24 hours a day. Our partnerships ensure our clients achieve not only their own business objectives, but meets their customer’s strict SLAs at all times.